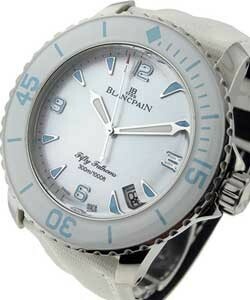 This watch is also known as: 5015.3630.52 , 5015363052 , 5015/3630/52 . 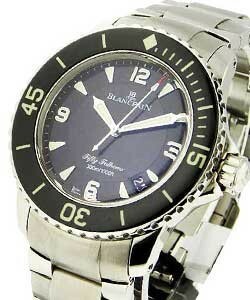 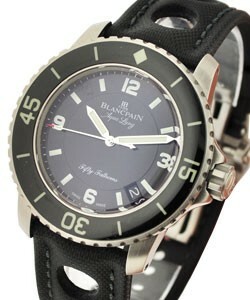 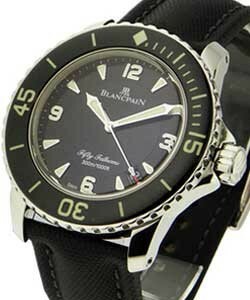 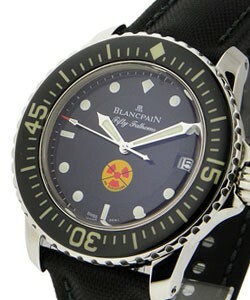 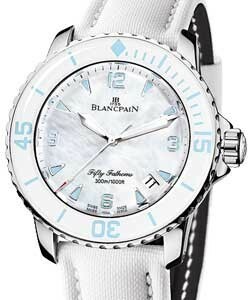 Blancpain Men's Fifty Fathoms Gold Watch. 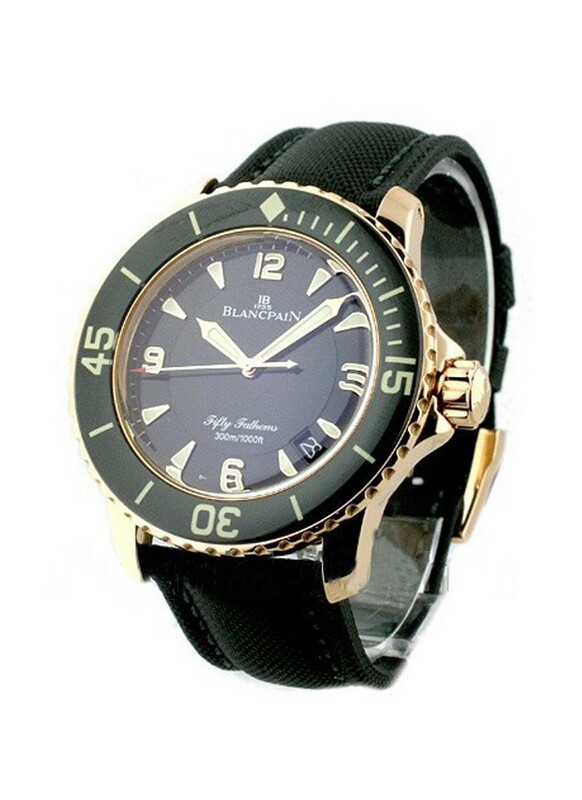 This timeless and standard design watch Blancpain Men's Fifty Fathoms Ref No:5015-3630-52 (5015.3630.52) features a 18K rose gold antimagnetic case, Unidirectional rotating bezel, Screw down crown, Black dial, Luminous rose gold hands, Arabic numerals, and stick hour markers, Sweep seconds hand, Date between the 4 and 5 o'clock, Black canvas strap, Tang buckle, Swiss automatic movement with a power reserve of 120 hours (Blancpain caliber 1315), Scratch resistant sapphire crystal, Water resistant to 300 meters/ 1000 feet. 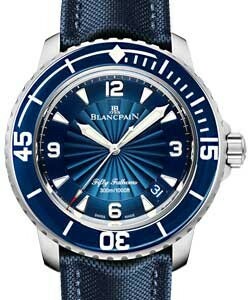 This Blancpain Men's Fifty Fathoms timepiece embodied force and style and revealed the unique personality of the man behind the revival.